The team at Quinlan Brothers is made up of almost five hundred seasonal and full time staff. Many come from surrounding communities and have grown up with the company while others have come from across the province and across the country, relocating to the local area every season. Most of our senior management staff have been with the company for several years. Once they come, they tend to stay – it’s about relationship and commitment to the communities, the people and the quality product we produce. In 1954 Pat and his brother Maurice received a late night visit from a close friend Mrs. Josephine O’Neill, recently widowed and asking for help with a business she knew nothing about and didn’t want to keep. Neither Pat nor Maurice knew much about the fishery at that time and as Pat would say, “We didn’t have two nickels to rub together,” but Mrs. O’Neill loaned the boys the money to buy the business from her and so the brothers took over J F O’Neill’s Grocery and Dry-Goods operation in Bay de Verde. 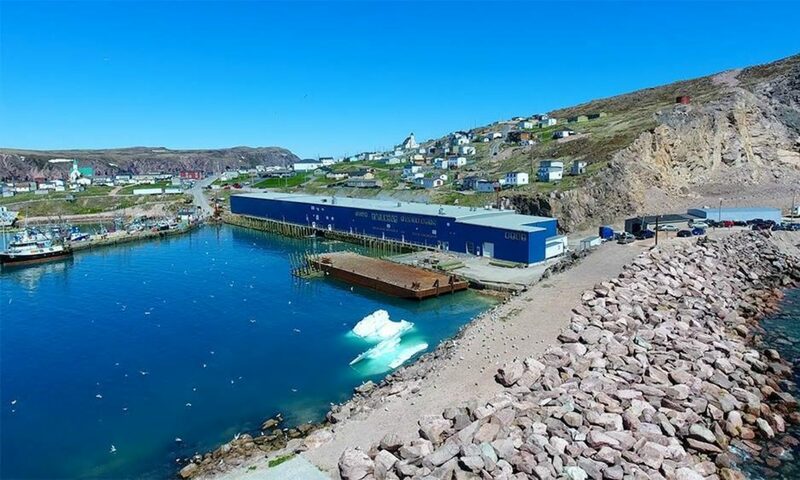 From its early start which included a simple fish buying station, they expanded into buying and cutting cod fillets on site, eventually building the first fresh cod fish plant in the community. That was sixty years ago, when first Maurice and now Pat, have sat at the helm of the company ever since. Don is second generation Quinlan, and together with his wife Patsy, the two have been involved with Quinlan Brothers since in their teens when Don first met Patsy who was working in ‘the shop’. While Don’s focus was on a teaching career, he returned to Bay de Verde in 1972 to teach in the local school. He started spending afternoons and summers at the office and Patsy also resumed working with company. Upon his retirement in the mid-nineties he joined the company full time as Office Manager. 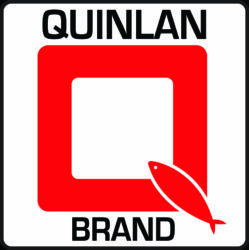 Wayne is also second generation Quinlan Brothers Ltd, Don’s younger brother. Growing up in Bay De Verde, Wayne grew up with the company, learning the business along the way in a wide variety of roles, filling the gap wherever needed. Wayne’s relationships with the community, people and inshore fisherman is now his key focus. Born and bred in Bay de Verde Newfoundland, Robin started working at the plant as a teenager, learning the business from the ground up, being mentored by his Great Uncle Pat, Don and Wayne. He went on to earn a Bachelor of Commerce degree and returned to the company as a full time employee. Robin now serves as Vice President of Quinlan Brothers Ltd, making it a third generation company. Upon completion of her Bachelor of Science degree Kim went directly into a career in the fishery, specializing in costing. In 2000 she was recruited into Quinlan Brother’s corporate office, and then eventually, the family. Kim learned the detailed product knowledge side of the business through her work in production & cost analysis and has used this insight to expand into a Management role in Sales and Marketing. Anita grew up in the small coastal town of Duntara but traveled to Bay de Verde in 1986 to start working a summer job at the plant. Twenty years later, by 2006, she had worked and trained her way up to a position in Quality Control at the shrimp plant, becoming Supervisor soon after. Over this same period she married, moved into the community and raised a family. As Quinlan’s Quality and Certification programs expanded, Anita was handpicked by Bessie to assist her and eventually take over as Manager in 2016 upon Bessie’s retirement. **Betty Layman, known by most as ‘Bessie’ or ‘Mudder’, has retired as Manager of QMP and Certifications for Quinlan’s Shrimp Plant after working more than 35 years with the company. A native to Bay de Verde, Ambrose still lives in the community with his family. He started working at the plant while in high school, went on to complete the Seafood Processing program at Marine Institute and returned to the plant to start a career in QC. With years of crab processing experience behind him he now leads the Crab Quality Management Program. Barry grew up in both the nearby community of Red Head Cove and Bay de Verde, working at the plant each summer as a student. It was while he was enrolled in an Electronics program at the local College that company co-founder, Pat Quinlan, approached him on the crab butchering line and asked him if he wanted to be a ‘part of the company’. Over the course of the next few years, Barry took on a wide variety of jobs, from labourer to a crab canning retort operator, completing Seafood Processing courses as he went until he had worked his way up to Manager of the Crab Plant Operation, where’s he’s been for more than twenty years, over forty years with Quinlan Brothers all totalled. Kristinn ‘crossed the pond’ from Iceland in 1998 to help run Quinlan’s newly setup shrimp plants in Bay de Verde and Black Duck Cove and has stayed on the island ever since. Iceland was the leader in advanced shrimp processing which is where Kristinn got his start in the industry at the age of 17. His industry knowledge and expertise has helped with the growth of our shrimp operations over the last fifteen years. Dave started his career as a teacher in the remote community of Burgeo on Newfoundland’s Southwest coast, but teaching didn’t agree with him and the fishery did. After completing the Seafood Processing program at Marine Institute in 1978 he was recruited by company co-founder, Maurice Quinlan, to come manage the Fish Plant in Old Perlican. He left a couple of years later to return to his home community and work with Fishery Products International , but three years later with a phone call nearly every Friday, Maurice got him back. This time for good. Prior to receiving his Chartered Accountant designation in 1985, Dave completed a Bachelor of Science degree from Memorial University of Newfoundland. Over the next fifteen years Dave worked in a variety of private and public sector companies until he was recruited by Pat Quinlan in 2000 to fill the newly created CFO position. This was Dave’s first foray into the challenging fisheries environment but his broad accounting expertise coupled with a strong scientific background has enabled him to successfully guide the company through its financial requirements. 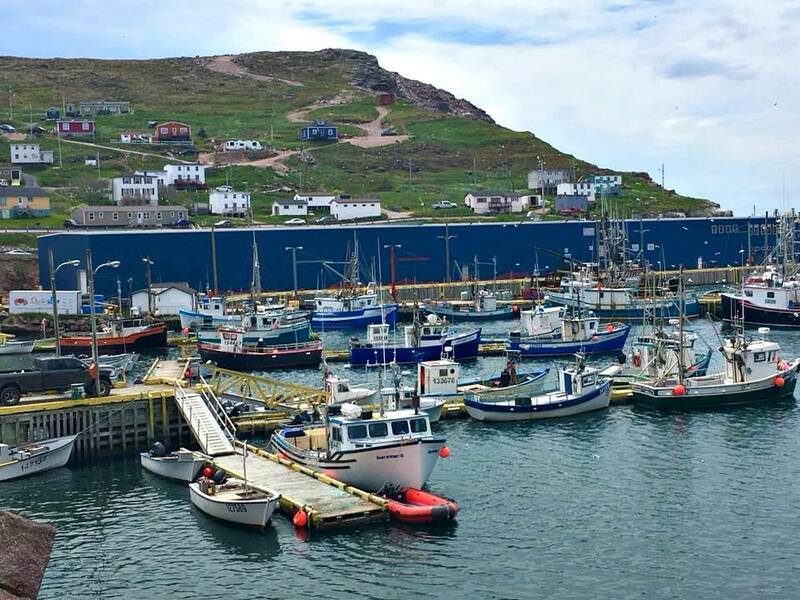 Terry grew up in the mining town of Baie Verte but went directly to a career in the fisheries processing sector on Newfoundland’s West coast after completing his Bachelor of Commerce Degree. Looking for a new experience, he moved to the opposite side of the island to start a job with Quinlan Brothers in 1989 and has stayed with the company ever since as Controller for the Bay de Verde operation.